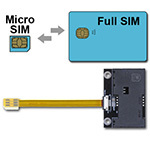 cable for flexible use also it is Micro SIM to Full SIM Card Extender on Smartphone. 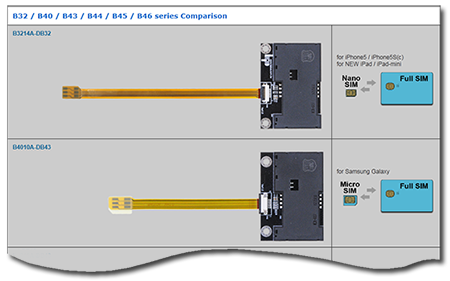 is 0.1mm, B4010A-DB43 can be routed through narrow slit between body and cover case. of the extender by proven design techniques. Click the button below to add the B4010A-DB43 (Micro SIM to Full SIM Extender) to your wish list.